From the sleepy department... 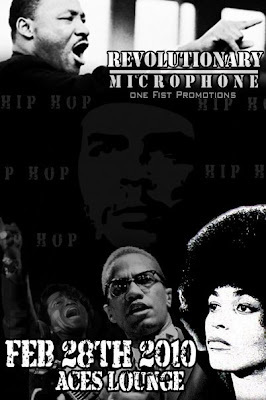 Revolutionary Microphone @ Aces Lounge tonight, Feb 28th with performances by Gidon the Mighty Warrior, Public Offenders and The Cipher. It's official. 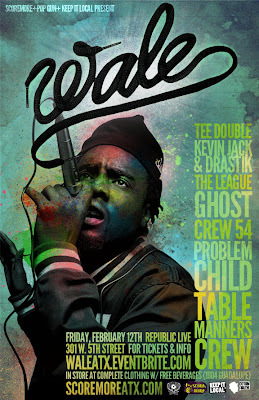 The Austin Hip-Hop Scene iPhone App is now on the App Store! 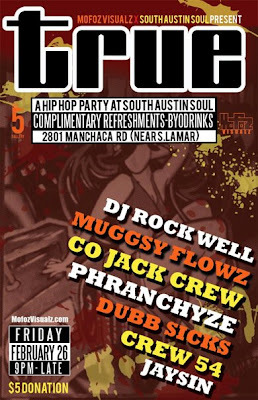 Now you can get your Austin Hip-Hop News on the go! The app is free so go download it now! Also available, the 08IsSoGreat iPhone App is also in the App Store! From the it's Friday department... 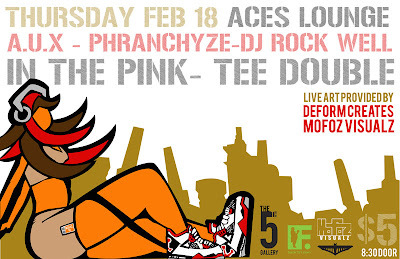 Check out The 5th Gallery tonight for a live mixtape online streaming! 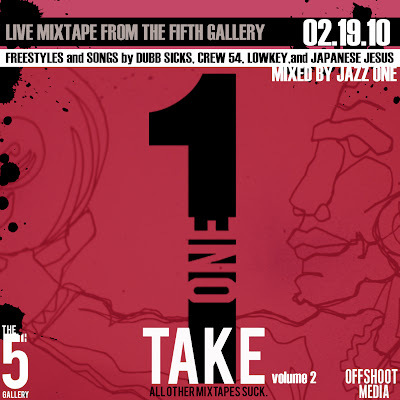 ONE TAKE live mixtape is coming at you webcast live from THE FIFTH GALLERY...yet again! 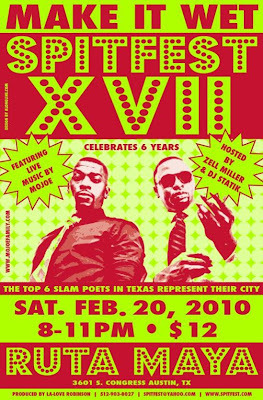 FEB 18 2010 9pm-10pm Central Time. This 2nd edition of the mixtape series will feature Austin MC's Dubb Sicks, CREW 54, Japanese Jesus, and Lowkey of SOUTHBOUND. 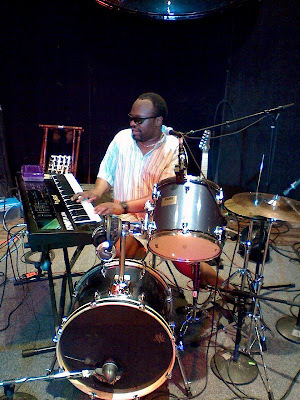 DJ JAZZ ONE will be providing beats. The event will be webcast at 9pm central time. 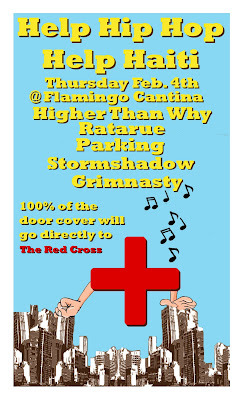 From the I hate this weather department... D-Madness, Brannen Temple & Bavu Blakes @ The Parish on Feb 17th! Unexpectedly caught Brannen Temple last night at The Elephant Room and what a treat! 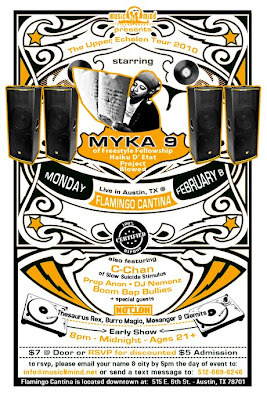 So this show at The Parish will definitely be a hoot with 3 of Austin's own. From the Temple of Hip Hop department... 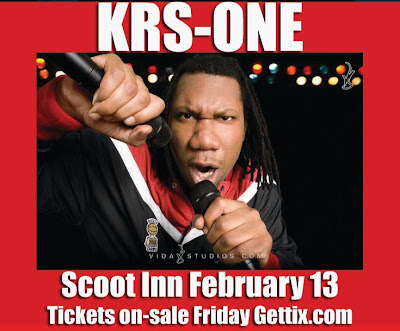 Check out KRS-One @ The Scoot Inn on Feb. 13th! Not every day you'll get to see a living legend! Definitely a must see! From the worth seeing department... arrhythmia @ The Vortex, Feb 5th - 20th! Great show. Definitely worth seeing. VORTEX Repertory Company and UpRise! 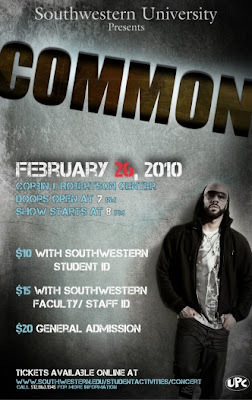 Productions proudly present the world premiere of the newest hip-hop theater performance piece written and directed by award-winning playwright, Zell Miller III. 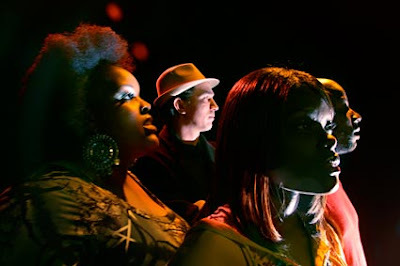 Featuring performances from Ebony Stewart, Sean Tate, Aaron Sanders, and introducing Toni Ringgold, as four spirits on a journey: Love, Forgiveness, Remorse, and Elation. 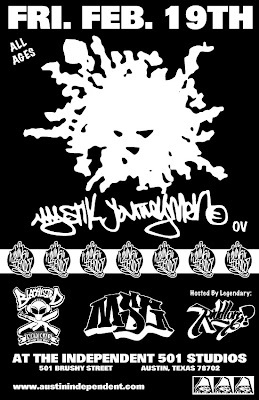 Original music by DJ S.T.A.T.I.K. and guitarist Buddy Cannon. Choreography from Ananda Mayi Moss. PR Photo by Bonnie Cullum. arrhythmia is a great way to honor Black History Month (February). Ask about Valentine’s Day Specials with Cake and Wine.